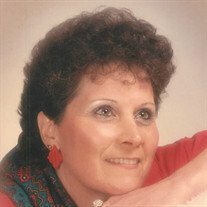 Helen Christine Shiflet,79 of Russellville, passed away Sunday, Jan. 13, 2019. She was a member of Mountain Valley Baptist Church and retired from Shelby Williams after 33 years of service. She was preceded in death by her parents: W.D. and Mattie Campbell; brother: Will Campbell; sons: Mike and Tony Shiflet and grandson: Lee Shiflet. Helen leaves her brother: J.A. (Brenda) Campbell and sister: Mary Day. Sons: Rick (Rosa) Shiflet and Terry (Sandra) Shiflet. Grandchildren: Tommy Shiflet, Justin (Amy) Shiflet, Kashawna (Shannon) Shiflet, Mikie Shiflet and Tamara Shiflet. Nine grandchildren, several nieces and nephews. Special friend: Catherine Suttles and care giver, her daughter-in-law: Sandra Shiflet. Receiving of family and friends will be friends will be Tuesday, Jan. 15, 2019 from 5:00 PM until 8:00 PM at Mayes Mortuary. Funeral services will follow at 8:00 PM with Rev. Ronald Bunch and Rev. Dewayne Brewer officaiting. Graveside services will be 11:00 AM, Wednesday, Jan. 16 in Bent Creek Cemetery, Whitesburg, TN.